We are in desperate need of rain around here, so I feel guilty even suggesting I hope it doesn’t rain. But being in the middle of outdoor construction and imagining the big muddy mess that would be my front yard, I have quickly resolved and discarded any guilt. 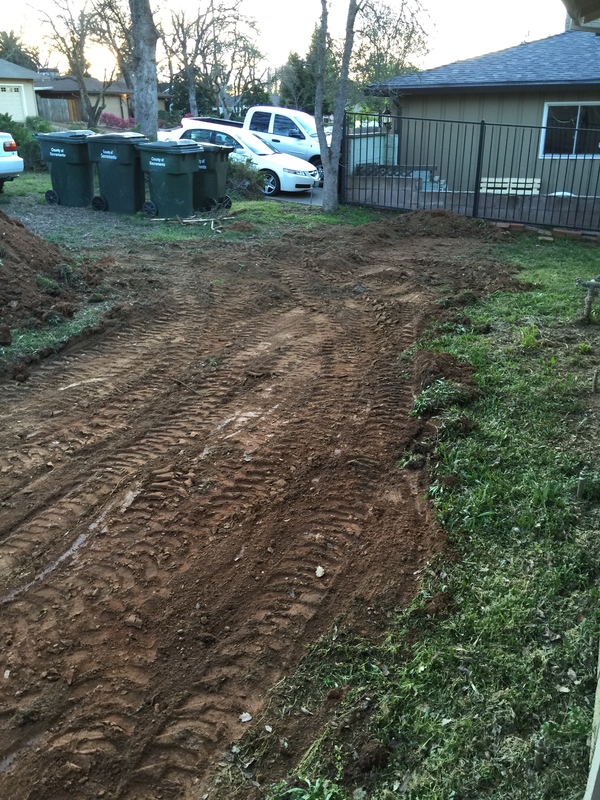 Driveway and front walkway on Thursday. Front of the house, former yard and flower bed, where we are installing a new patio. 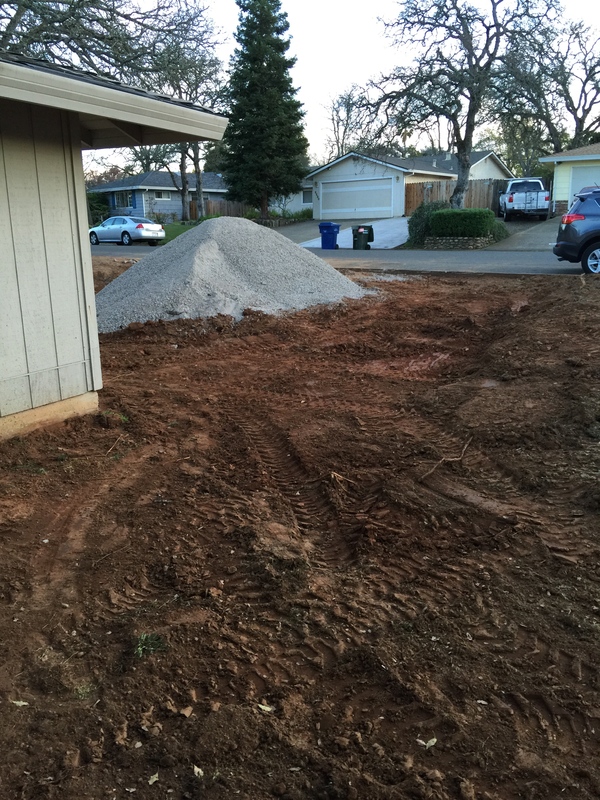 Side yard/RV pad … old concrete steadily being carted off. 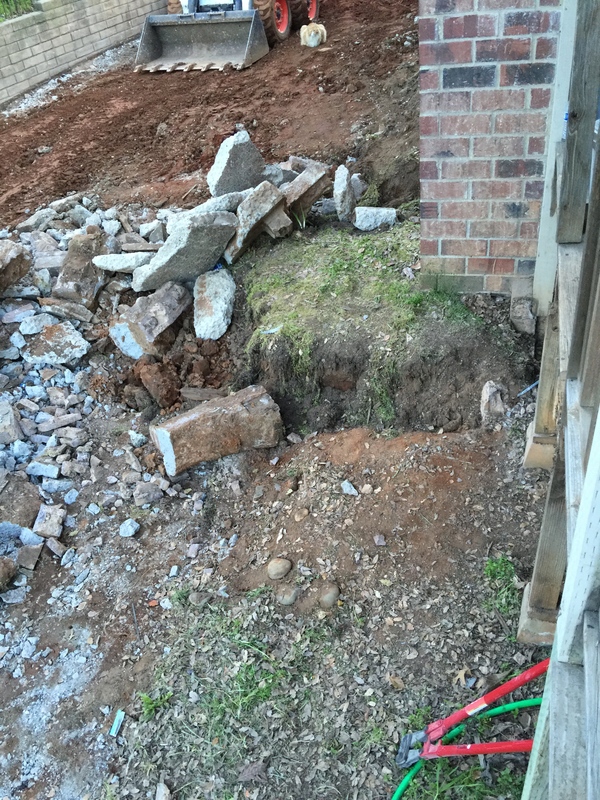 There used to be a planter here made with adobe blocks and a set of stairs leading up to the deck. Soon this will be covered in concrete. Project is progressing, and we are delighted with our contractor and his crew. I just hate the smell of dirt, though, and I hate walking back and forth across it each day to get to the car even more. However, this is temporary and will be done before I know it. I just keep reminding myself how nice it will look when it’s done. I am saying the same thing over and over about the deck, which is the next immediate project after we finish with the concrete jungle. Next Article Concrete – starting to take shape! When I was going through the tough part of our kitchen remodel I definitely had to remind myself how much better it would be once it was done. It will be over before you know it! 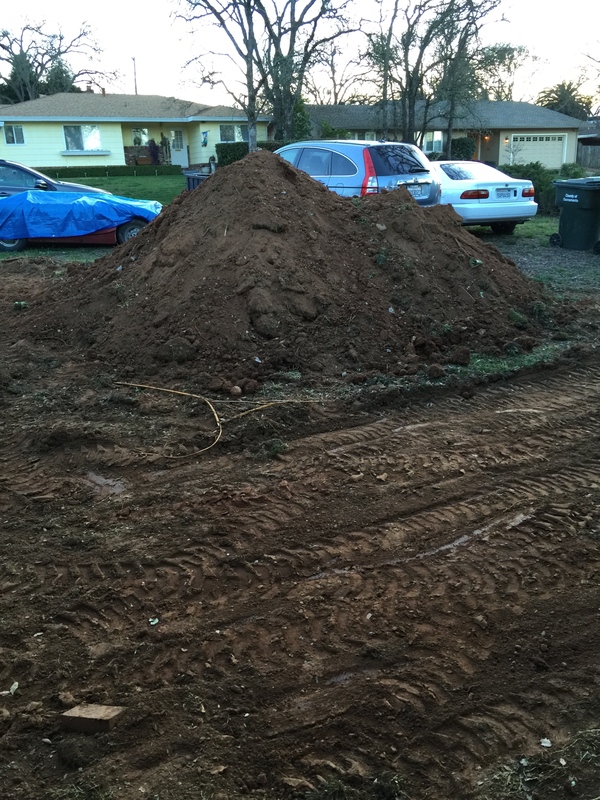 I am learning new things about myself, like how much I hate the smell of fresh dirt. But yeah, it’s going well and will be beautiful, plus M is home to manage the project and I am able to escape to work every day. It will be so nice!!!! This is true. The low 70s temps we have been enjoying have made this project bearable, event pleasant. 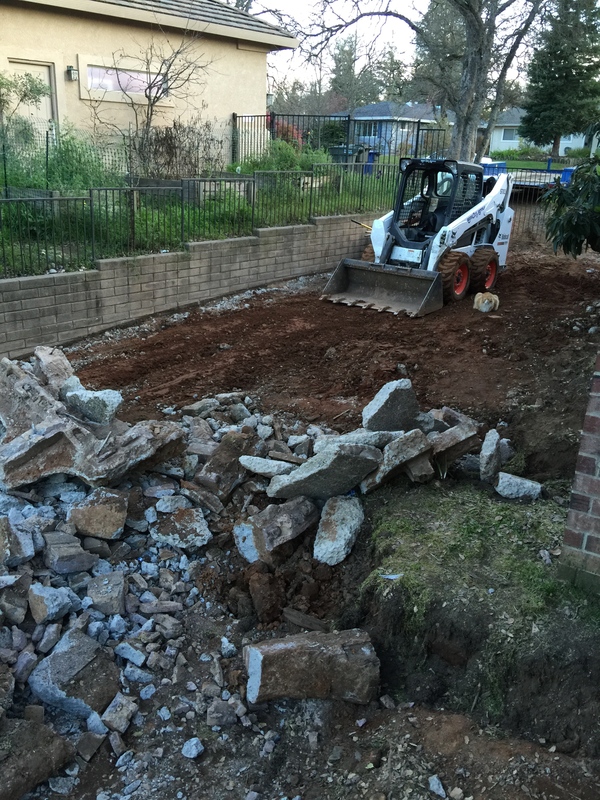 We are replacing our pool deck and expanding it, replacing the RV driveway and side yard, expanding the front drive and creating a larger front porch/patio. It’s a ridiculous amount of concrete, but I’ve been planning and dreaming of this for the last 3 years.